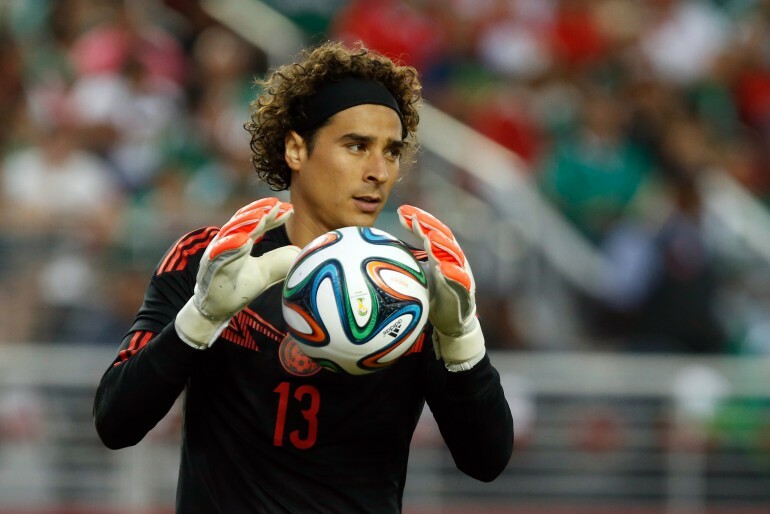 Memo Ochoa News: Is Liverpool Pushing For Mexico’s Goalie? Break out the red carpet England, Mexico’s Guillermo “Memo” Ochoa might be on his way. Multiple media reports out of Spain and England are insisting that the Mexican goalkeeper, who was a World Cup hero for his country in Brazil this summer, is being targeted by English Premier League giants, Liverpool. According to the report, Liverpool is willing to pay up to $6 million dollars to Memo’s current team, Malaga, in exchange for his transfer to the Reds. The next transfer window in which such an offer could occur is coming up in January. Memo has had trouble seeing the pitch for the Spanish club Malaga, as Coach Javi Garcia prefers to start Cameroon goalie, Carlos Kameni, in his place. Despite the lack of playing time, Memo has played well in his stints with El Tri over the summer and still looks to be the “Fortress” that he was in Brazil. Memo was a free agent this summer and was free to sign with any team of his choosing. He had many offers to join teams in the French and Italian leagues, but chose to go to Malaga because of the talent level in La Liga. Since Memo has been on the bench for most of the season, he would most certainly welcome a move to Liverpool. Stay tuned to all of our latest soccer transfer news this January to see where Memo and other players end up.